Το προϊόν πωλείται με το τρέχον μέτρο σε ρολλό 1μ, 20μ, 100μ. Το υλικό αυτό κόβεται στα μέτρα σας και δεν επιστρέφεται. 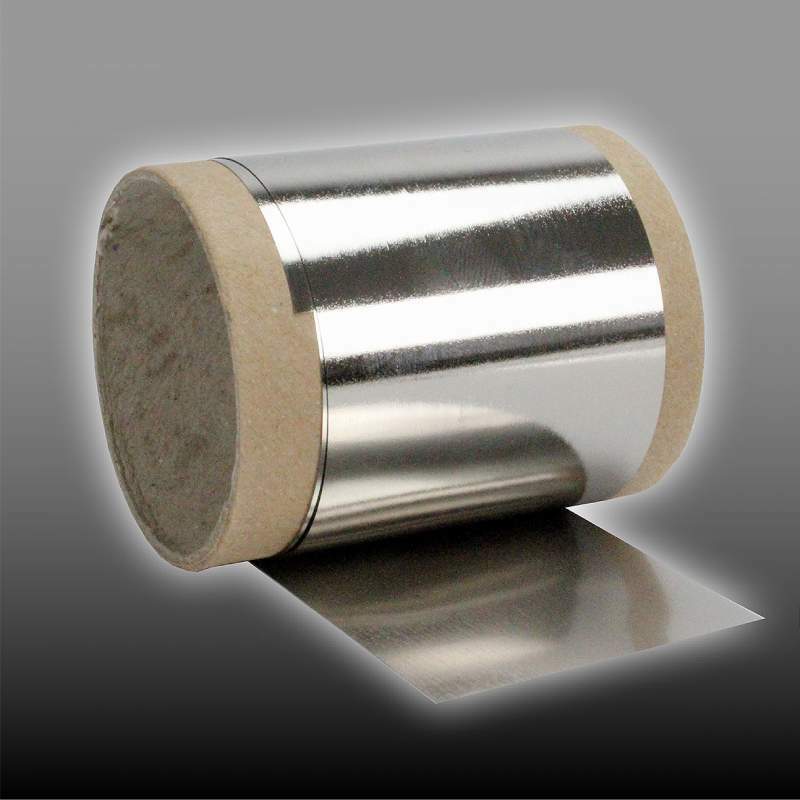 MCF5 is a magnetic shielding film made from an amorphous cobalt alloy for shielding of low-frequency alternating magnetic fields. 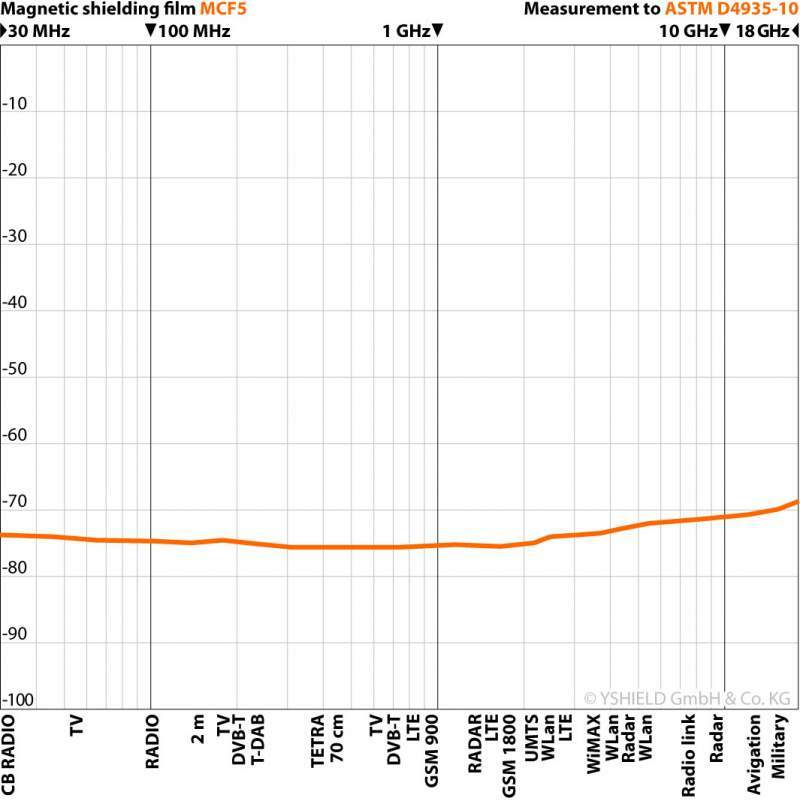 Also shields low-frequency electric alternating fields (LF) and high-frequency fields (HF). 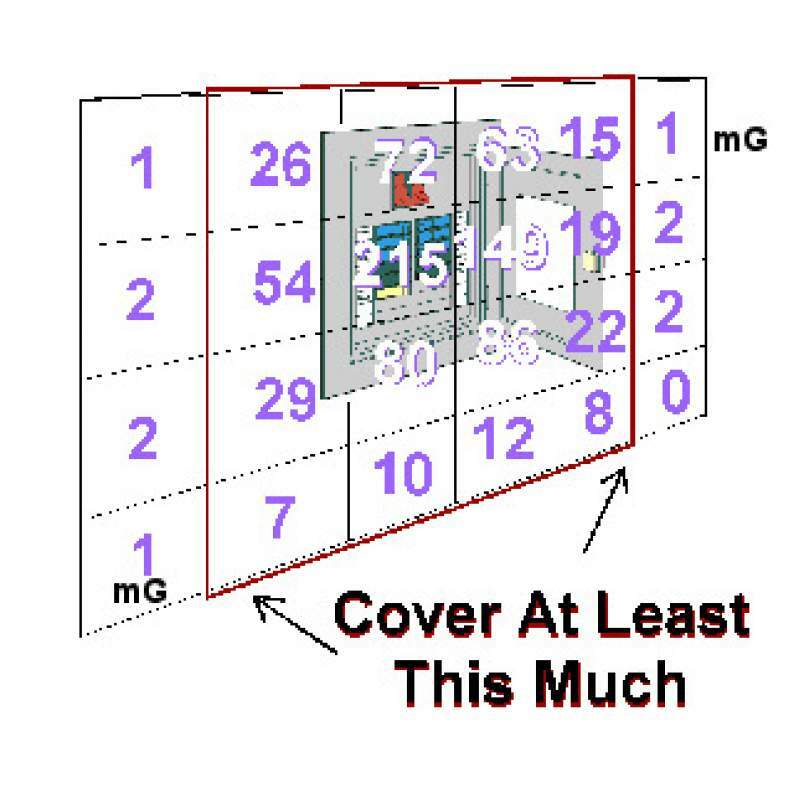 Because MCF5 has a width of only 5 cm, its recommended for shielding smaller areas, e.g. in electronic applications or for cables. Statical magnetic fields: Other than stated in the headline, this product is not MUMETALL®. We are utilizing a newer alloy which provides a better shielding. 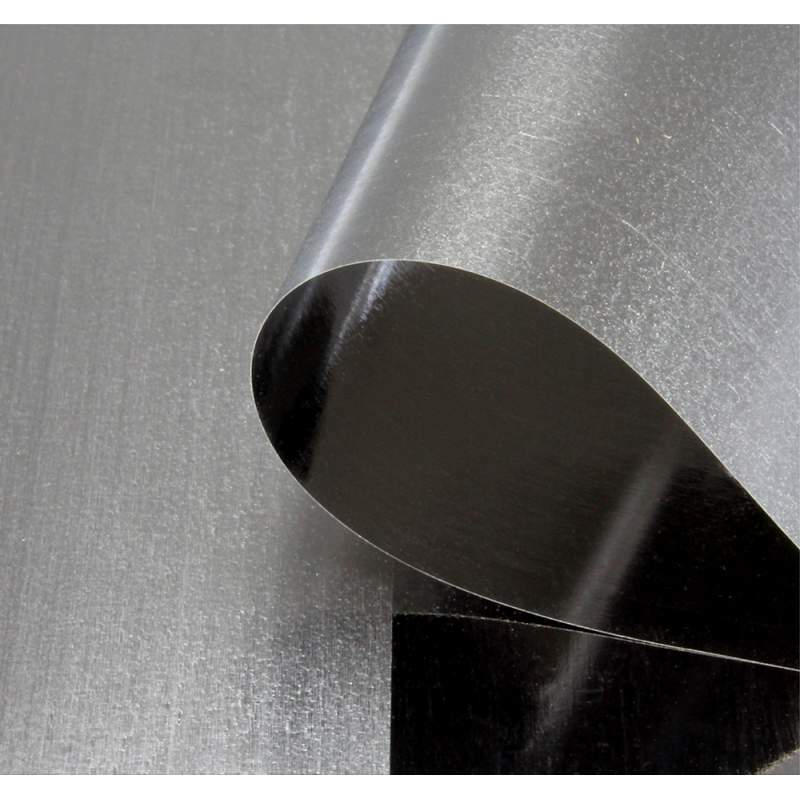 MUMETALL® is promoted to shield statical magnetic fields, referred to the usually used foils (material thickness 0.1 mm) the effect of the shielding is quite low indeed. We are using cobalt based alloy which attenuation is increasing from strength to strength of the velocity of the magnetic fields. There are no velocities by statical magnetic fields or by permanent magnets, that is why this product won´t shield those. In comparison with MUMETALL® our MCF5 has many advantages: MUMETALL® is soft and sensitive, on bending, to shocks and on processing it looses the attenuation very fast. MCF5 stays flexible but hard even at small bending radii. The attenuation remains constant even at high mechanical stress. MCF5 can easily be cut with scissors. Warning: The cutting edges are sharp as a knife! Best use our plastic scraper FVR10 to press it on the adhesive tapes or into the glue, this is the safe way to keep your fingers! There is no self adhesive version available. However, bonding is easily possible: Please use a double sided adhesive tape e.g. Carpet adhesive tape with 50 mm width or a wider double-sided adhesive tape. Otherwise a commercial surface contact adhesive can be used (e.g. UHU, PATTEX). 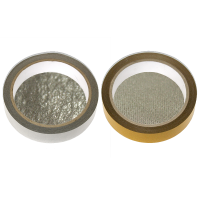 Due to the conductive surface this material can be contacted and grounded easy to shield low frequency (LF) electric fields. 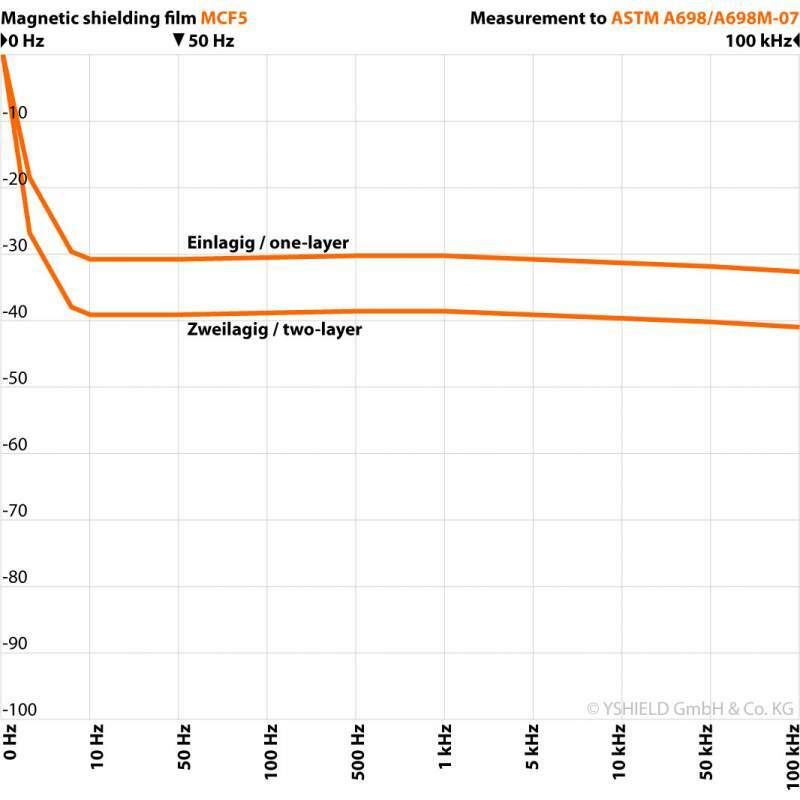 The shielding attenuations are regularly tested in our own laboratory, HF due to ASTM D4935-10, the LF magnetic field due to ASTM A698/A698M-07. You find the test report above. 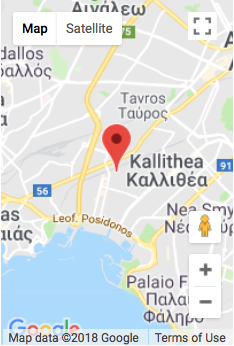 Προϊόν επι παραγγελία στα μέτρα σας. Χρόνος παράδοσης: 10 εργάσιμες ημέρες Το προϊόν πωλείται με ..
Καλώδιο γείωσης GK100, 100 cm με ειδικά βίσματα Μήκος: 1 μέτρο, ø 2.5 mm² άκρες: με βίσματα συμ..